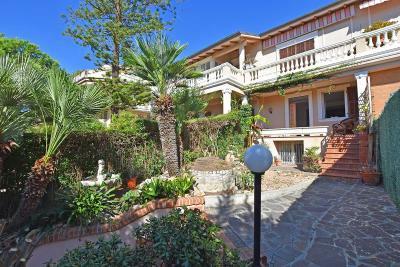 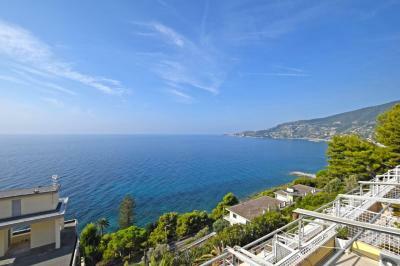 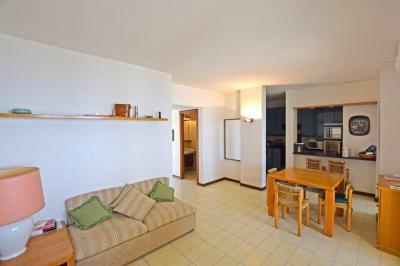 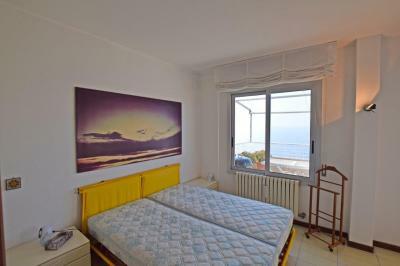 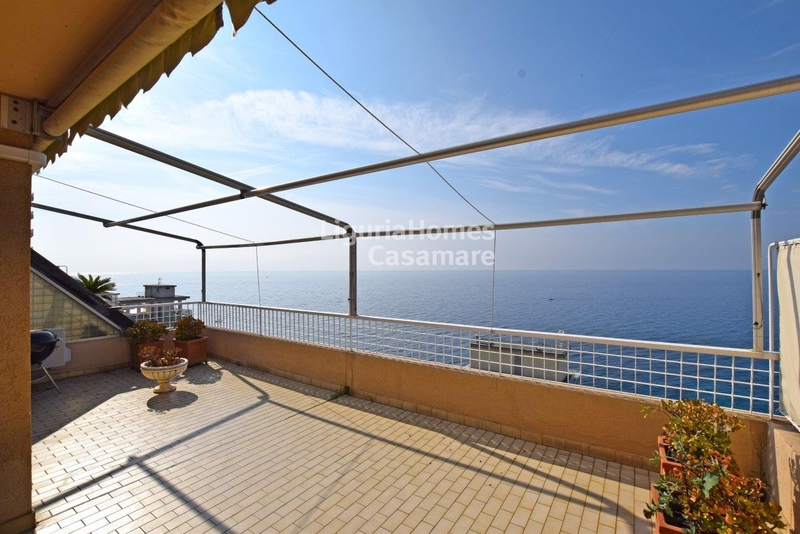 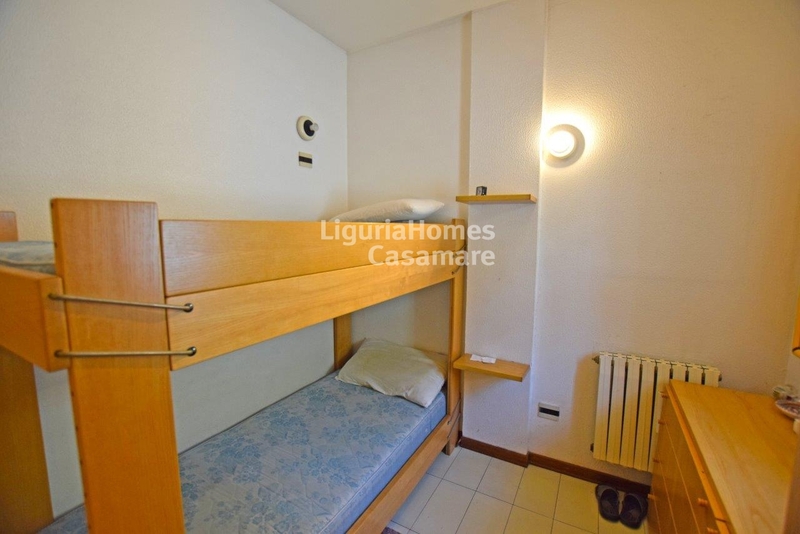 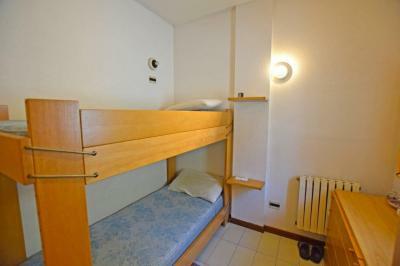 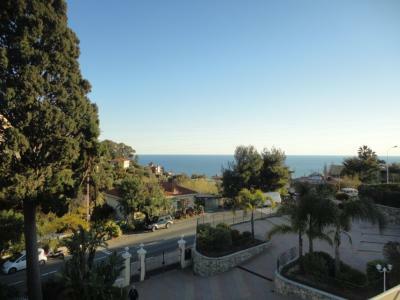 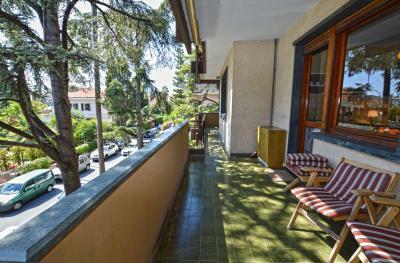 Beautiful Apartment with a spacious sunny terrace and fantastic seaview for Sale in Ligurian Riviera, Ospedaletti, Italy. 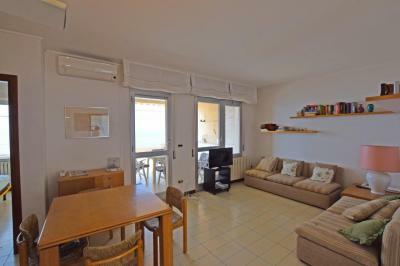 In the biggest condominium of Ospedaletti - a lovely Italian resort situated in a natural bay and protected from the Nordic cold winds, in a building with all the amenities including pool, a two-bedroom Apartment with a seaview terrace for Sale. 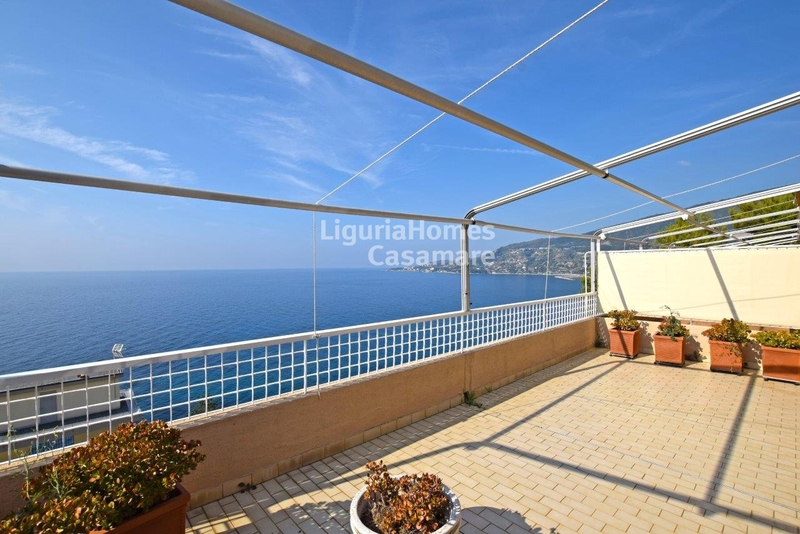 The recently renovated Apartment with terrace and seaview for Sale in Ospedaletti, Liguria, Italy consists of entrance, bright living room with a kitchenette, 2 bedrooms, bathroom and a big terrace with an outstanding view out to the Ligurian Sea. 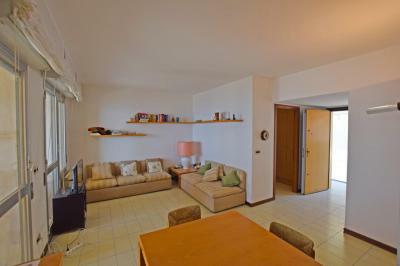 Garage and a storage room are also included.